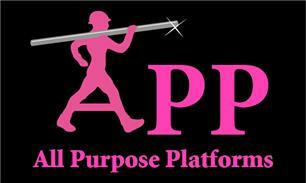 App Scaffolding Limited - Builder, Scaffolder based in Bromley, Kent. APP Scaffolding is an honest and reliable business, with over 35 years experience in the scaffolding industry. We undertake all types of scaffolding work from the smallest tower to the largest construction site. We take pride in our work and this reflects in the professionalism shown to homeowners, local authorities and developers. We operate a strict Health & Safety Policy and have our own independent safety consultant. We can provide 3D drawings of scaffolding if required.